Egg Update: We’re up to seven daily! The hens are faithful layers! 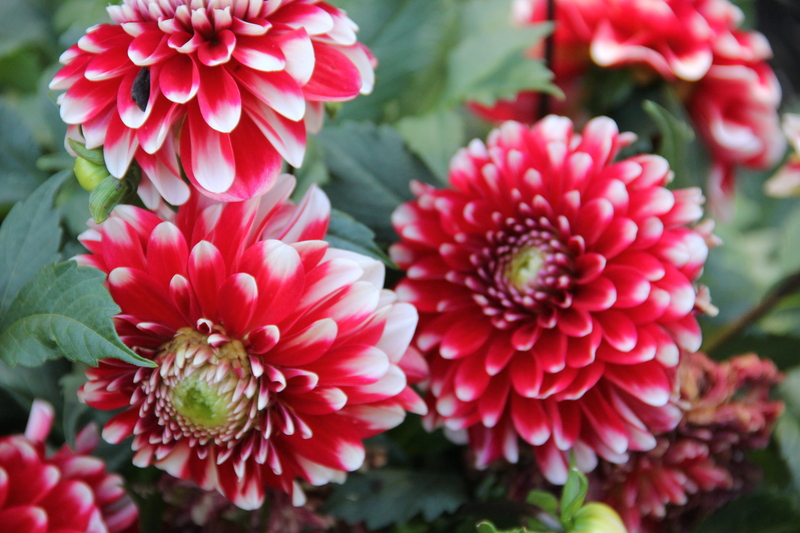 We “oooh”ed and “aaah”ed over stunning dahlias, roses, and so much more at Butchart Gardens in Victoria, B.C. on Monday. The gardens are a delicious slice of paradise, and on this first visit, I attempted to soak in every colorful petal, stem, and leaf. The Japanese Garden provided a mossy, peaceful retreat on a warm August day. I came away inspired to try some new combinations of plants, and I’ll be sure to share the progress of my couple of new seed packets from the Butchart gift shop. 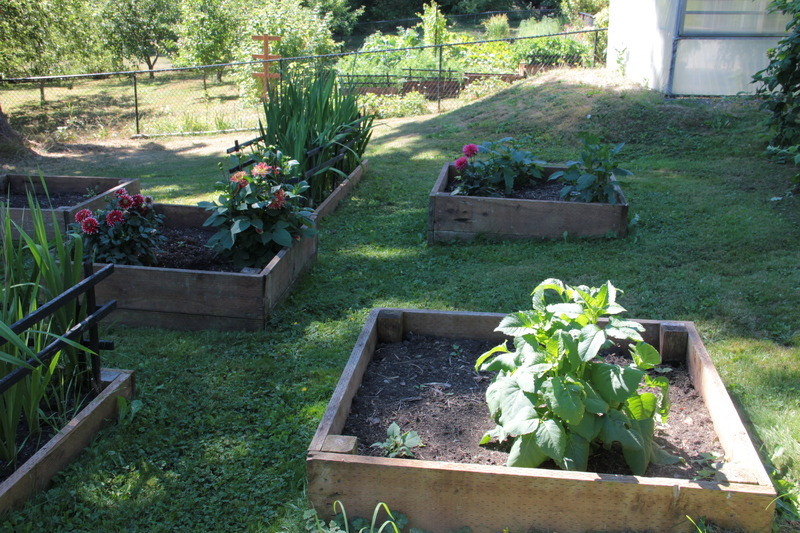 Our three 4’x4′ raised beds of dahlias did not fully survive the winter here. When we moved into Coppertop back in January, the dahlias and the nearby gladiolas were predictably brown and had collapsed. The previous owners told me they waited until spring to cut back plants, allowing the birds and other critters to use the foliage for warmth and protection during the winter months. I waited until March to cut back the dahlia stems and many other plants at ground level. When I cut them back, there were at least four plants in each raised bed. I’m unsure if many of the tubers froze or rotted, and maybe this was the year they were too old to produce, but we’ve ended up with just a couple of plants in each bed. Hubby has helped add two new plants for color. 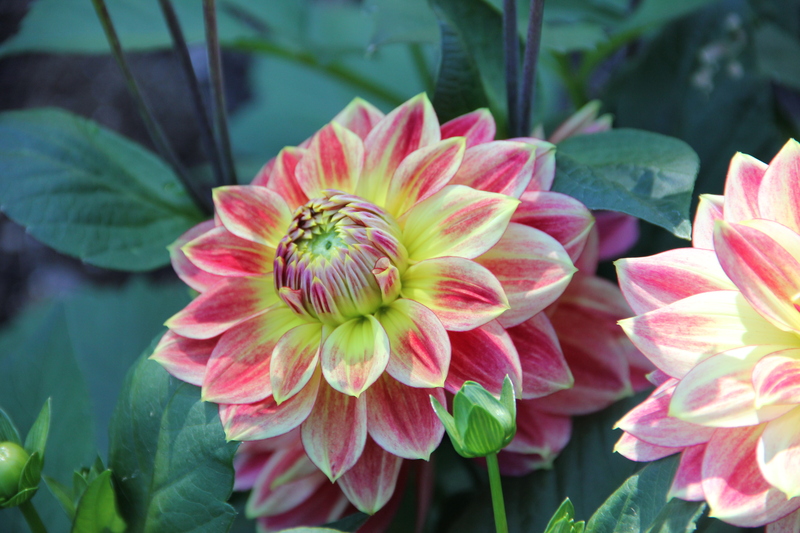 I will cut back the dahlias sooner this year, and mulch well to protect the tubers. I’m excited by the prospect of selecting the shapes and colors of flowers to fill the holes in the beds, especially after viewing the dazzling collection at Butchart! 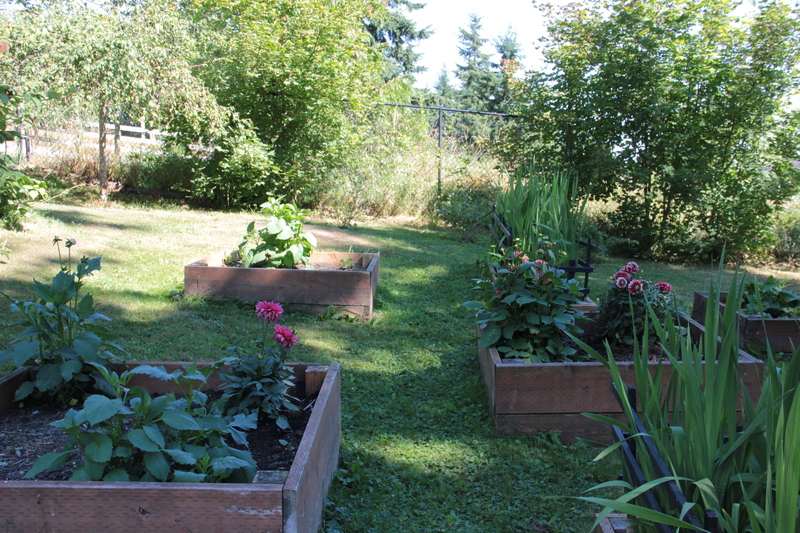 This entry was tagged Butchart, Coppertop, dahlias, gardening, Olympic Peninsula, raised beds. Bookmark the permalink.